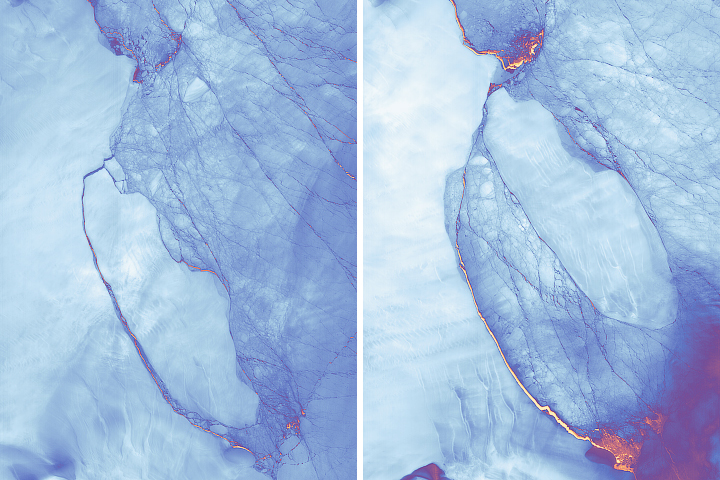 Early on July 12, 2017, satellites captured imagery of the new, massive iceberg that broke away from Larsen C—an ice shelf on the east side of the Antarctic Peninsula. Later that day, the Landsat 8 satellite acquired a more detailed look (above). The false-color image was captured by Landsat’s Thermal Infrared Sensor (TIRS). It shows the relative warmth or coolness of the landscape. 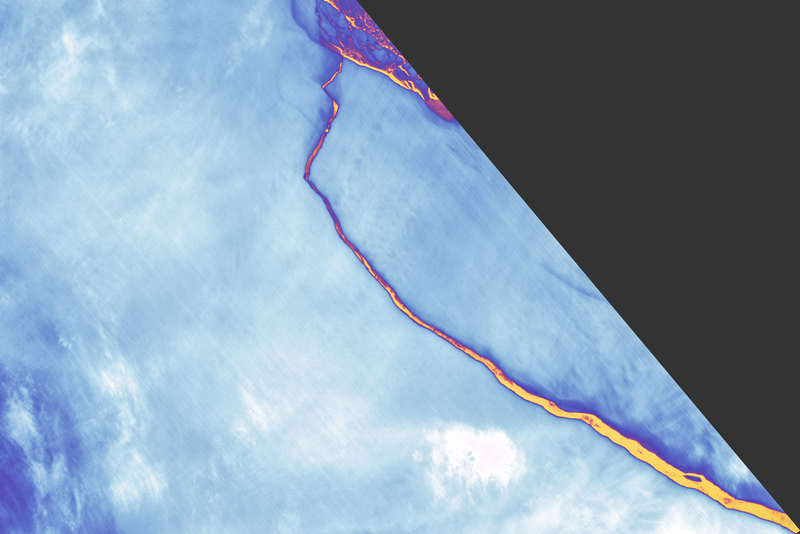 Orange indicates where the surface is the warmest, most notably the mélange between the new berg and the ice shelf. 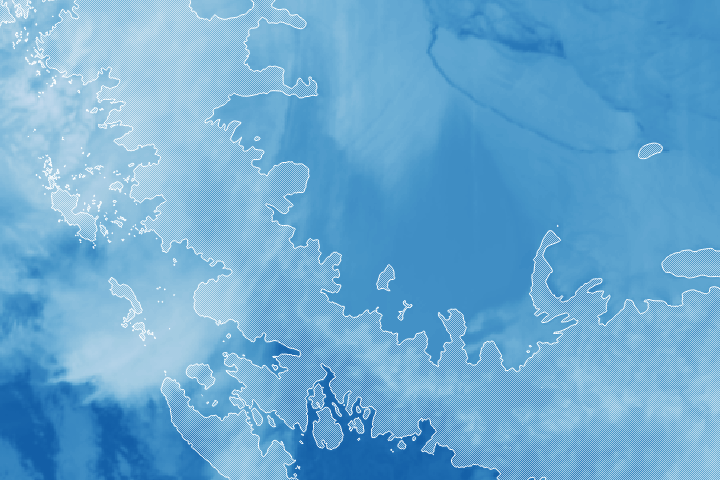 Light blues and whites are the coldest areas, including the ice shelf and the iceberg. On July 13, the U.S. National Ice Center issued a press release confirming the new iceberg and officially naming it A-68. 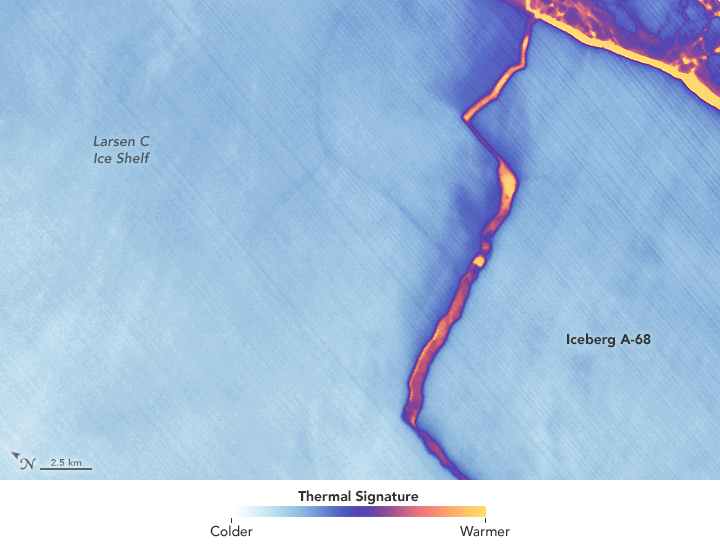 Thermal imagery shows the relative warmth between the new iceberg and the Larsen C ice shelf. 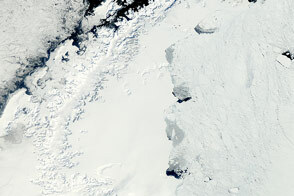 Scientists observed the cracking and rifting of a Delaware-sized piece of an ice shelf along the Antarctic Peninsula. 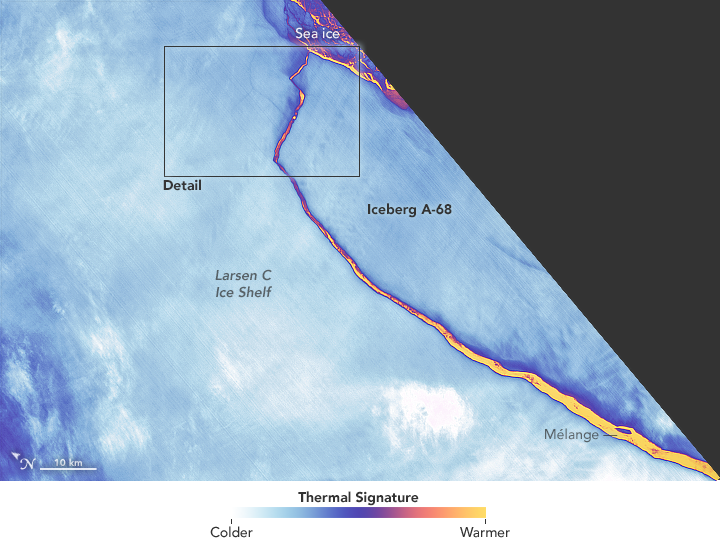 NASA Earth Observatory, Rift and Calving at Larsen C Ice Shelf. 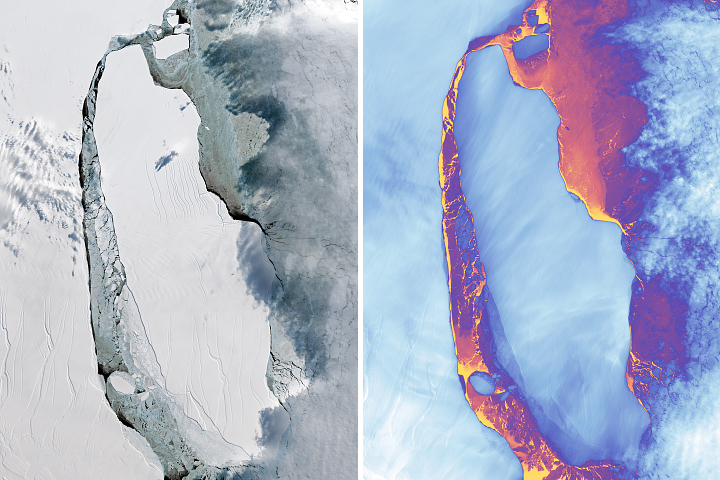 NASA Earth Observatory (2017, July 12) Antarctic Ice Shelf Sheds Massive Iceberg. 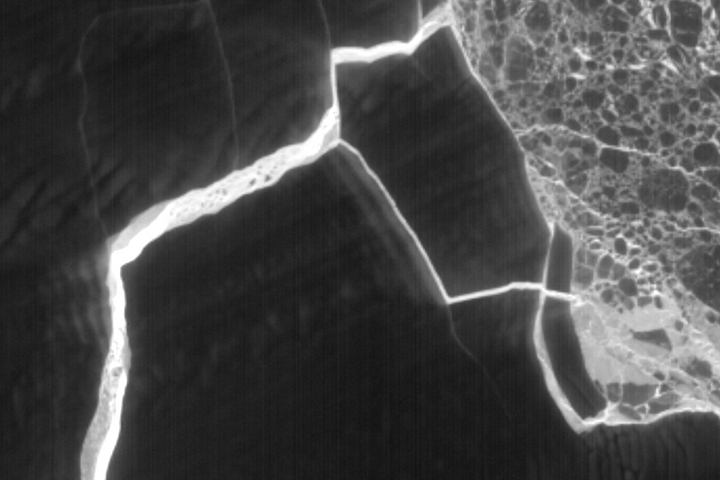 Project MIDAS (2017, July 12) Larsen C calves trillion ton iceberg. Accessed July 12, 2017.